SYDNEY, AUSTRALIA — March 6, 2017 — The business process outsourcing (BPO) industry is at a turning point – automation of back office and contact centre processes is rising steadily, eating into the BPO vendors’ bread-and-butter; and client focus on customer experience outcomes is causing a rethink in location strategy. Against this backdrop, countries such as Fiji, South Africa and New Zealand are challenging the historical bastions of BPO, India and the Philippines, for a slice of the Australian market. These are some of the conclusions of a study by Matchboard, an online matching platform for sales, customer service and back office. Matchboard analysed 493 BPO requests, and 45 chatbot and speech analytics requests, which were logged by Australian companies in 2015 and 2016. 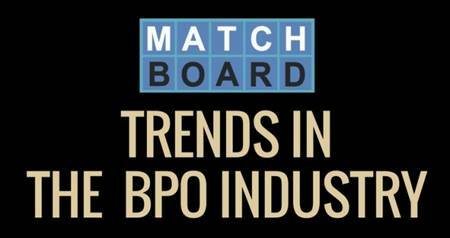 Another trend is the smorgasbord of countries vying for BPO contracts in the Australian market. Fiji is pitching its 60% cost advantage, and friendly customer service workforce with accent-neutral English, while New Zealand reminds us of the deep similarity in language and culture and a 25-30% savings for front and back office outsourcing. Thanks to “anchor Aussie tenants” such as iiNet, South Africa is also challenging in niche areas including premium customer service, sales and retention, insurance back office and legal process outsourcing, and a pricepoint between New Zealand and Fiji. The Philippines continues to dominate the BPO market for small and large businesses, however market nervousness about the country’s political direction is making buyers more cautious. Founded in 2012, Matchboard is an award-winning free online matching service which uses powerful matching algorithms to help companies find the right suppliers for their needs. The platform specialises in the supply chain around sales, service and back office, and has been used by more than 2500 companies. (EMDG) to help fund its expansion into the UK, where the brand is AboutMatch. boardroom lunch series in Sydney, Melbourne and London.